Kamailio SIP Server v4.3.5 stable is out – a minor release including fixes in code and documentation since v4.3.4. The configuration file and database schema compatibility is preserved. Kamailio (former OpenSER) v4.3.5 is based on the latest version of GIT branch 4.3, therefore those running previous 4.3.x versions are advised to upgrade. There is no change that has to be done to configuration file or database structure comparing with older v4.3.x. 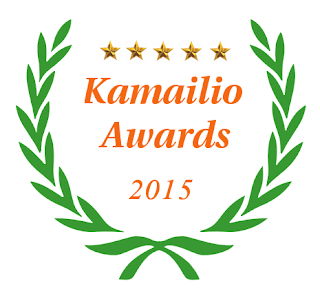 Thanks for flying Kamailio and looking forward to meeting many of you at Kamailio World Conference 2016!